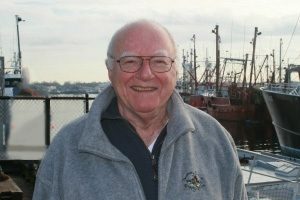 Brian Rothschild is the founding Dean and Montgomery Charter Professor Emeritus of Marine Science and Technology at the Department of Fisheries Oceanography in the School for Marine Science and Technology at the University of Massachusetts, Dartmouth. He is an expert in population dynamics, biological oceanography, fisheries management, and natural resources policy. Brian has spent his career working to improve fisheries policy and management in the U.S. In addition to the University of Massachusetts, he has held professorships at the University of Washington and the University of Maryland. 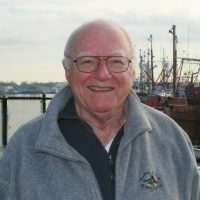 He managed NOAA’s implementation of the Fisheries Conservation and Management Act of 1976, was Director of the Office of Policy and Planning at NMFS, Director of the Southwest Fisheries Center and, and Senior Policy Advisor to the Administrator of NOAA. In 2007, he received NOAA’s Sustainability Fisheries Leadership Award and in 2012 the National Fishermen, Lifetime Achievement Award. We spoke with Brian Rothschild of the University of Massachusetts, Dartmouth about an April 2015 assessment done by NOAA looking at how US fisheries measured up to FAO’s ecolabeling standards. Unsurprisingly, a large majority of U.S. fisheries meet FAO guidelines to be labeled as “sustainable” both biologically and socioeconomically. Rothschild claims the analysis originates from global ecolabeling entities attempting to ecolabel some U.S. fisheries. “I think the glowing nature of the report is a good demonstration that the U.S. doesn’t need outside entities to judge the quality of fishery management” (07:55). “The point is that the U.S., through MSA, ESA, MMPA has a very good indicator of sustainability, so all these ecolabeling organizations do is drive up the cost of fish to someone, likely the consumer” (01:18). Rothschild also raised concerns about the assessment’s description of fisheries management and agency involvement in the U.S. “It’s so glowing, so vanilla that you have to wonder about its balance… Is fisheries management in the U.S. really that perfect?” (02:12). “If the agency really believes that fishery management in the US is perfect, as what seems to be the case from this report, there’s not much guidance to move ahead and address issues of concern” (08:25). Specifically, he referred to issues such as climate change. “Really what they’re talking about is the influence of these changes on the ecosystem, and we’re talking about ecosystem management” (08:57). He’s concerned that painting a rosy picture of U.S. fisheries management may lessen the urgency of having conversations about budgeting resources for these types of issues. “We shouldn’t just drive down the road without looking to the right or to the left” (09:30). Further, Rothschild thinks we still have much to learn about many fish stocks. For example, scientists are still working to understand multidecadal fluctuations in California sardine populations despite decades of research. Another example is the case of Atlantic cod, which largely disappeared off the coasts of Canada and New England in the mid-1980s and again are currently diminishing in Georges Bank and the Gulf of Maine. The analogy between these disappearing events of cod is an important scientific question. “Everyone attributes these things to fishing and climate change, but we really don’t know, we really don’t understand the ecosystem. The point is that we’re not allocating our research resources to issues and problems of critical importance” (12:10). “We tend to focus on fisheries that are important in terms of quantity or in terms of economics, like Alaska pollock, bluefin tuna, red snapper, cod, and…it’s not unwarranted from a policy point of view to spend most of your budgetary resources on fisheries that are economically important and in the public eye” (15:38). But, if we’re misallocating in a serious way, we should know that. “I have never seen an analysis of how budget resources are allocated” (17:40). Rothschild pointed out that while he is not particularly critical of this study, he is highlighting that this study “reflects that there are important opportunities in both research and policy that may not be taken advantage of if in fact you think everything is rosy and fine” (13:50). Rather than focus on this assessment, he thinks we should turn our attention to developing a coordinated and coherent effort to address issues in fisheries management. Specifically, he thinks the U.S. needs to engage in a national discussion similar to the International Council for the Exploration of the Sea in Europe to foster a “mechanism to fertilize both government and university research” (20:11). Brian makes some excellent points here. I can think of no other active biologist with his experience and record of accomplishment. I haven’t seen the report under discussion, but if it is as rosy as he says, then it indeed will give the impression we have nothing more to correct or improve. There is often a tendency for an institution like NOAA to build itself up. I’d like t hear some opinions by the New England fishermen about how well NMFS is doing. I don’t think it would be so rosy. He’s right that quite a few stocks have dynamics that are not understood and more research is needed for them. But if everything is so rosy, who cares?